Here at Capital Captions we work with high quality, affordable German translation and subtitling services to suit all requirements. Our translations are reliable and we offer some of the fastest turnaround times in the industry. Video translations are hugely beneficial for expanding the reach of your content and improving online SEO. We recognise that SEO is one of the single most important elements to drive your work forward. Ranking high on search engines brings more visitors to your site and helps you achieve more views and better engagement for your videos. We ensure your German translations are always top quality and suited to your needs, through our flexible approach and can-do attitude. Working with subtitles involves a lot of attention to detail. One of the most important aspects of subtitling is reading speed. When translating into German, reading speed is key because German is such a word-heavy language. On average, the words/characters in an English video can typically increase by up to 30% when translating into German. This increase needs to be taken into account in order to ensure viewers have time to read German subtitles. Subtitles and closed captions are our speciality, and we work with a vast range of language pairs. Alongside our standard German to English and English to German subtitles, we also work with the below languages. German translations written by professional linguists, using no automation. 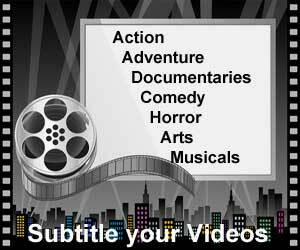 Urgent subtitling services with turnaround times starting from under four hours. A flexible approach to subtitling, working with video client’s needs on a one-to-one basis. A friendly approach and can-do attitude, helping producers fully understand the subtitling process and achieve the best value for money. A true dedication to quality subtitling, ensuring the best results. So there you have it, a quick look at what makes our German translation and subtitles services great. If you are interested in getting more information on our translation and subtitling specifically for the German language, why not take a look at our German subtitling services page. Alternatively if you are happy with what you require you can head to our quote page to see the value we can add to your videos. Business owner of Capital Captions, providing online closed caption, subtitle and transcription services. Specialising in ensuring accessibility of audio and video to the deaf and hard of hearing.